The Furness Way is a 121km long distance path across southern Lakeland from coast to coast, beginning at Arnside on the eastern side of Morecombe Bay and finishing at Ravenglass on the Irish Sea. The aim of the route is to cross the southern Lake District, a relatively quieter region, by traversing a good deal of the old county of Lancashire, north of the Sands. The main portion of this once detached part of Lancashire has been know for centuries as Furness, giving its name to the route. The walk offers a wide range of landscape from mountain passes to river estuaries, through beautiful woodland and by charming riverbanks and villages. It provides an opportunity to explore the very best of High Furness and the surrounding area including Lyth Valley, Cartmel, Coniston, the Duddon Valley and Eskdale. The Furness way also links up with three other Cumbrian LDP's, Westmorland Way, Cumberland Way and Cumbria Way. The concise and practical guidebook provides all the information you need to walk the route. 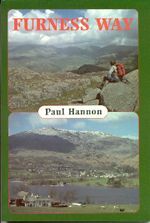 Clear directions are supported by well written and informative text describing the landscape and places of interest along the way.